The leader must exhaust all their resources. There is the possibility the leader could do some real damage. Permission has been given by the leader to the coach. Honestly, the temptation to give advice is always present. But I know deep down that “struggle” is the best teacher! What do you do when you come to that juncture in your coaching? Under what circumstances do you give advice? I would love to hear what you do. 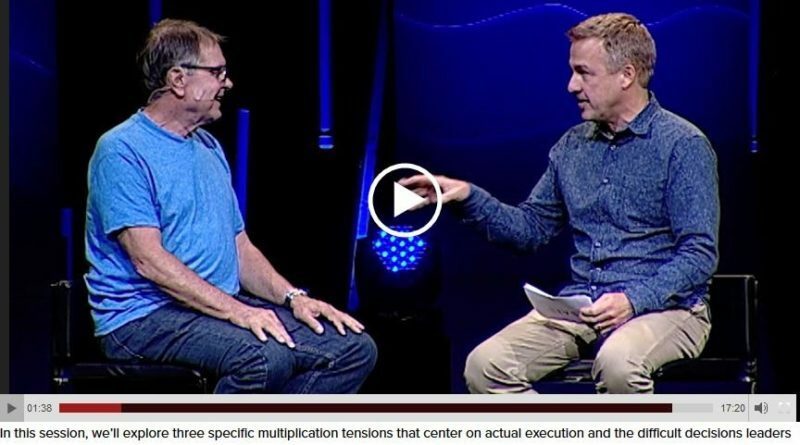 If you are interested to hear about a different approach to doing church, watch this 17 minute video with Dave Ferguson interviewing Ralph Moore. Ralph discusses some of the tensions accompanying church planting as a movement leader. Learn how a church committed to reproducing disciples, leaders and churches keeps the main thing, the MAIN thing!.